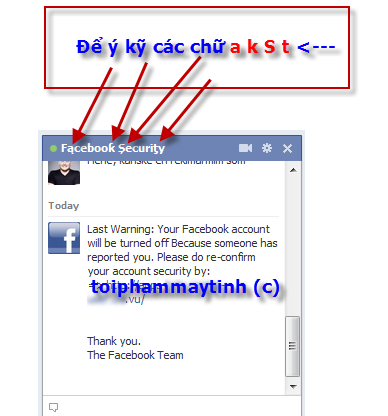 At the time of writing there is a new Facebook phishing attack going on. It will not just try to steal your Facebook credentials; it will also try to steal credit card information and other important information such as security questions. This Facebook phishing attack is pretty interesting because it does not just try to trick the victim into visiting a phishing website. It will reuse the stolen information and login to the compromised account and change both profile picture and name. The profile picture will be changed to the Facebook logo and the name will be translated to “Facebook Security” but containing special ascii characters replacing letters such as “a” “k” “S” and “t”. When clicking on the link you will be redirected to a website which looks very similar to Facebook, and asks you for personal information such as: Name, Email, Password, Webmail system, Password to email etc. When submitting this form the details will be sent to the attacker, and they can automatically login to your Facebook account and compromise it. After the victim submitted the information another webpage will appear, this page states that you need to confirm your identify with a payment and asks for your Card Number. The last page of the phishing scam will try to confirm your Credit card information including CSC/CVV code. These scams are just getting more popular and we really recommend not giving out personal information, especially not email, password and credit card information over social medias. It is also recommend that you contact your security vendor and the social media vendor if you encounter these sites.